Interns laced up their sneakers for the decision-day ritual. 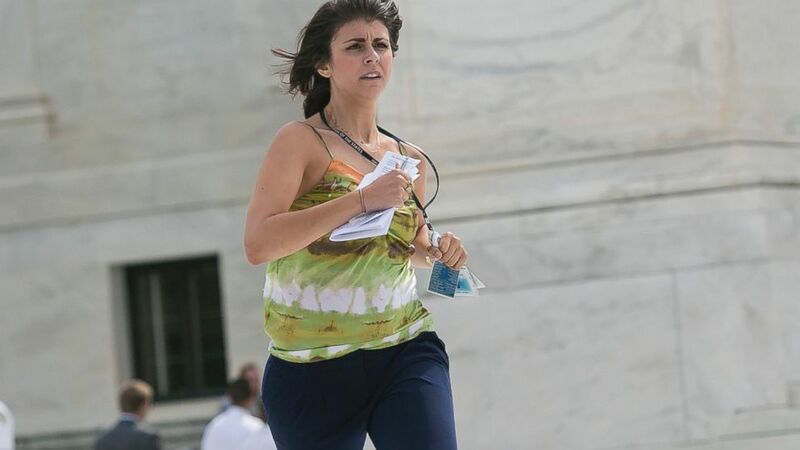 camera (Al Drago/AP Photo) Members of the news media, including interns for network television stations, run with decisions in hand on the opinion for health care, June 25, 2015, in an official tradition referred to as the "running of the interns in Washington. 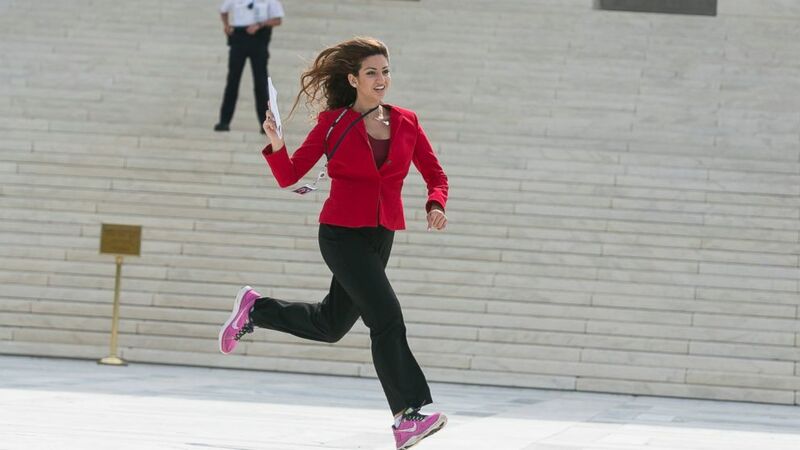 As the nation awaited the Supreme Court’s decision on the constitutionality of federal Obamacare subsidies, interns at media outlets across D.C. laced up their sneakers and headed over to the Court for the “running of the interns,” a Washington decision-day ritual. Because cameras aren’t allowed inside the courtroom, interns, armed with hard copies of the opinion, must dash across the plaza and down the steps to deliver the decision to the network correspondents waiting to go live from the press pen – with hordes of reporters, photographers, and protesters looking on. (Al Drago/AP) Members of the news media, including interns for network television stations, run with decisions in hand on the opinion for health care in Washington, June 25, 2015, in an official tradition referred to as the "running of the interns. 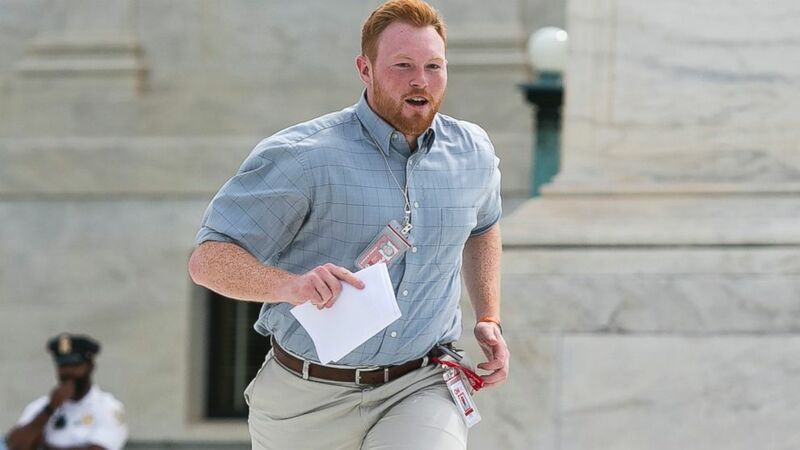 (Al Drago/AP Photo) Members of the news media, including interns for network television stations, run with decisions in hand on the opinion for health care in Washington, June 25, 2015, in an official tradition referred to as the "running of the interns." Yes, we know what you're holding and we're all really excited. It takes commitment to be an intern runner – three-steps-at-a-time type commitment. Bonus points for wearing dress shoes. 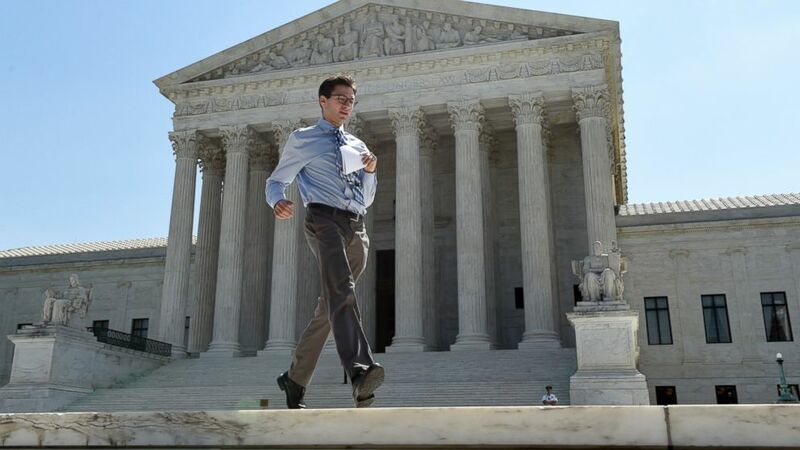 (Susan Walsh/AP Photo ) Intern Sam Gringlas runs with one of the Supreme Court rulings in his hand in front of the Supreme Court, June 22, 2015, in Washington. Mission accomplished. ABC’s Allie Kessel delivers the decision to correspondent Terry Moran. ABC News' Marie Monteleone contributed to this report.